A mirrored shower is a great modern idea that can solve the problem of the insufficient area of the bathroom. Such a shower will look fashionable and bright, and at the same time, it will perfectly fit into any style due to its ability to reflect the surrounding objects. 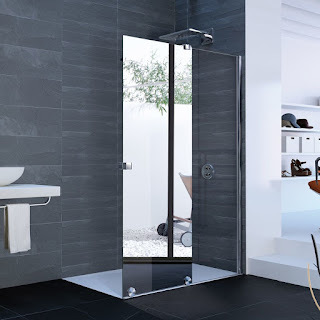 The mirrored shower doors have the features, which need to be considered if you decide to choose such type of doors. The mirror surface not only increases the space but also reflects the rays of light. It is necessary to consider the interposition of shower cabin and lighting so that the reflected light does not blare. A good arrangement will make the bathroom cozier and lighter. Unlike glass, the mirror completely does not transmit light. For this reason, the mirrored doors should be used only if there is an alternative light source inside of the shower cabin. For example, if there is no top panel, the light will enter from above. You can choose the doors with one mirrored leaf, in order to increase the lighting inside the shower. The second door leaf can be made of transparent or frosted glass. In any case, the subtleties of the design depend on each individual situation. An element such as a mirror is just necessary for the bathroom. 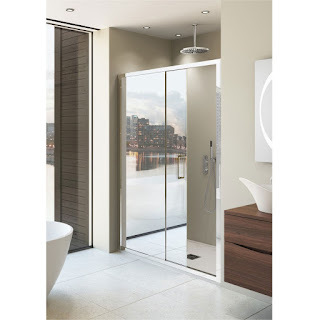 The mirrored doors of the shower can simultaneously perform the role of a screen and a wall mirror. 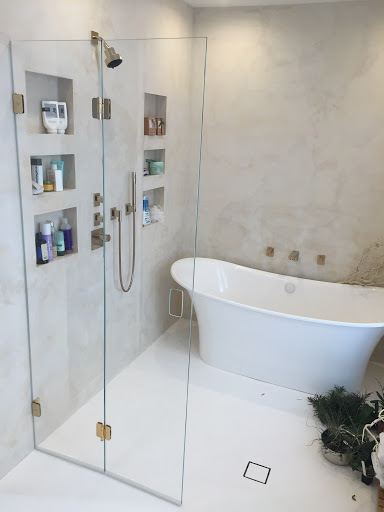 The height of the shower stall implies a large mirror coating. It means that a full-length mirror will be present in the bathroom, which compares favorably with ordinary small mirrors.